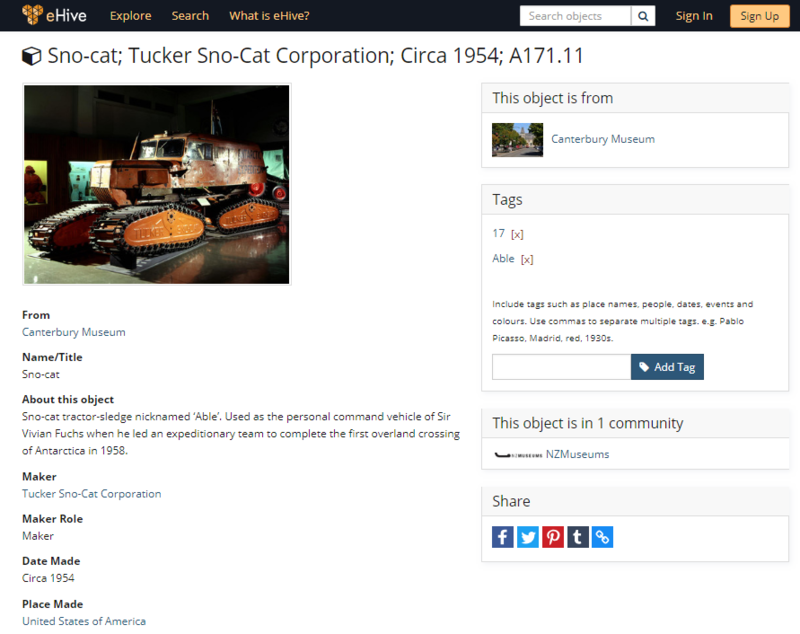 Putting your collection online can be a great way to reach out and engage a new audience. Having your collection in eHive opens it up to a larger audience, but a little help can go a long way. Rather than waiting for people to come to you why not highlight specific objects? 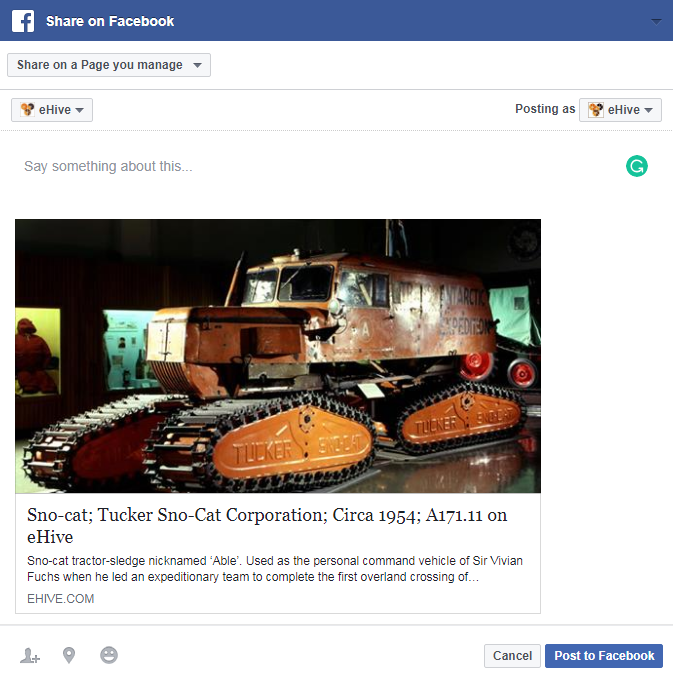 Give your audience a reason to revisit your collection with regular sharing. 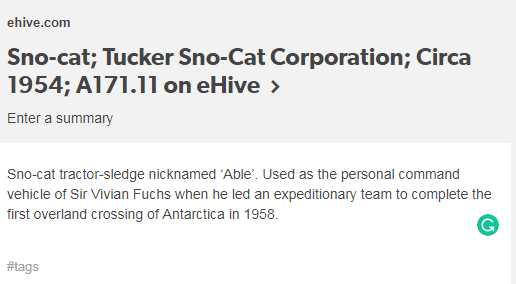 eHive is designed to let you quickly and easily share your objects and your eHive collection page with others. 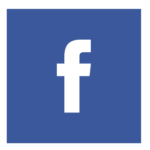 Each public page includes options to share on a range of platforms. Here is an example of how they look. 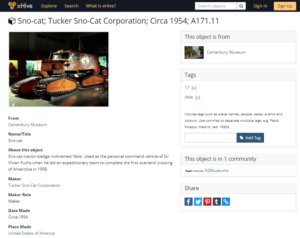 The object that we have used for this demonstration is Canterbury Museum’s Sno-cat that can be found at https://ehive.com/collections/3003/objects/48/snocat. 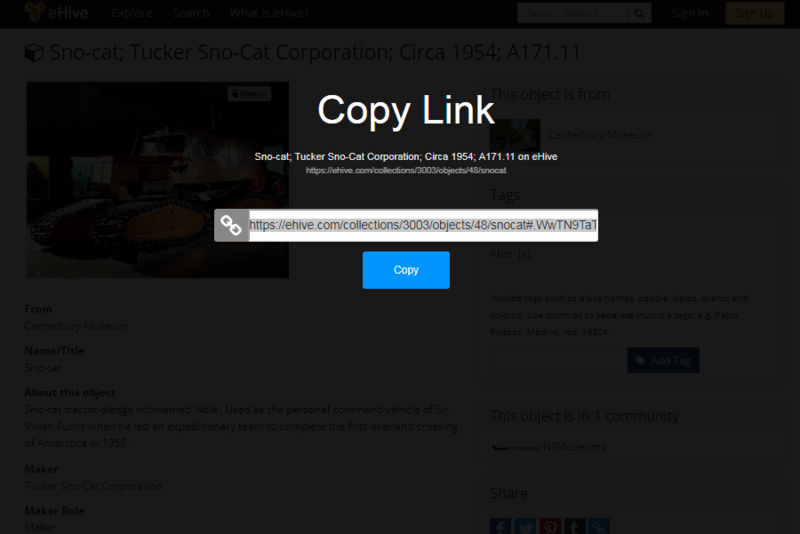 Finally, you can share a link to your object which looks like this.